While this one can help at the Heart, Throat and Brow Chakras, I have found it seems most suited at the Throat. It seems to really help us to clearly express ourselves with kindness and compassion. Since this Chakra is the voice of our body, it also assists in expressing the energies of our other Chakras. Blue Aragonite is part of the Orthorhombic Crystal system. It’s coloring is a pale blue leaning to almost turquoise. It is formed from physical and biological processes in fresh water or marine environments. It is a fairly transparent, slightly brittle rocky friend and is rated at a 3.5 to 4 on the Moh’s scale of hardness. The surfaces of pearl and mother-of-pearl is actually a layer of Aragonite from mollusks and other related invertebrates. While Aragonite can be found in several colors, the blue shades are generally found in Morocco, Nambia, Australia and in the U.S. The Aragonite name has come from its discovery location of Aragon Province of Spain. Like most stones, it is most beneficial when worn or laid upon the body, or used as a hand comforter. Blue Aragonite is most beneficial when worn near the throat or used in meditation. 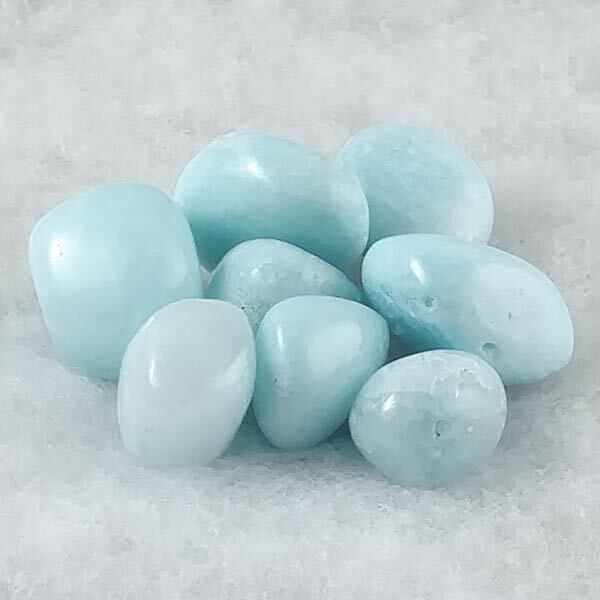 Blue Aragonite helps us in preparing to meditate and can also assist in stabilizing spiritual development. It is a stone of strong spiritual vision in that it helps connect us to hearing messages from Spirit and our Spirit Guides. Blue Aragonite is an excellent emotional healer. It assists us to have greater patience and to remain calm, letting go of anger and the stress that can accompany it. Blue Aragonite helps us to find our true center as we incorporate new energies in our life. It aides us in moving forward past all our old limitations so we can experience and enjoy our current life offerings. Blue Aragonite has been shown to help in the repair of nerve damage and broken bones. It can also be an aide to promote calcium absorption and to help lessen chills and pain in general. 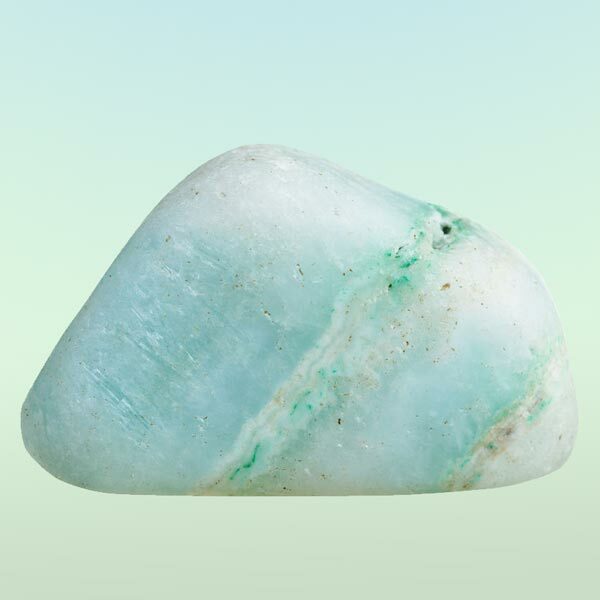 Blue Aragonite has an affinity with all signs and is especially helpful to Capricorn. Its energy is Receptive, its Elements are Air and Water, and its planet is Earth. Blue Aragonite has been reported to be a sleep aid. Aragonite in any color is considered to be a builder stone, helping you take something and make it useful. It is also considered an Earth Goddess stone - encouraging conservation, recycling, transforming geopathic stress and clears blocked ley lines.